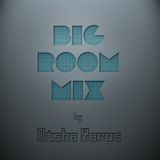 And don’t forget, if you like the mix, please share it on your Facebook, tweet it, reblog it on tumblr, just get it out there! The mixes are free so please leave me some feedback! Thank you to everyone for your support!! !